Upon landing, aircraft ran off runway at the departure end of runway 22. 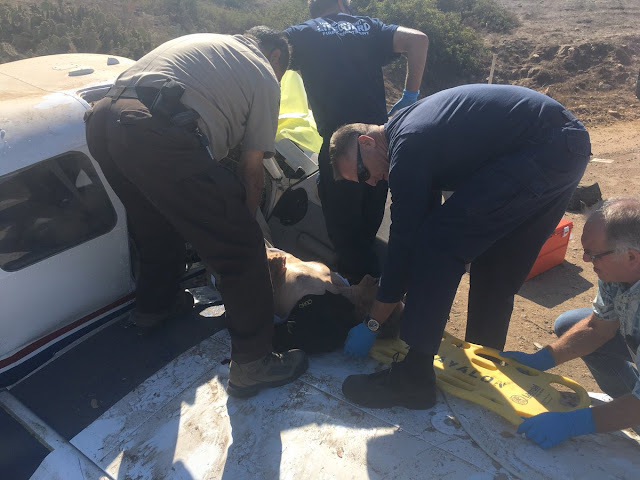 AVALON, Calif. (AP) - Three people were injured in a plane crash Wednesday at the notoriously tricky airport on Catalina Island off the Southern California coast. The Piper PA-32-300 Cherokee 300 went off the runway after landing, FAA spokesman Ian Gregor said. Three people were taken to the hospital following a plane crash Wednesday on Catalina Island, authorities said. About 9:45 a.m., lifeguards with the Los Angeles County Fire Department rushed to the scene of the crash at Catalina Airport and recovered three people, the agency said in a tweet. The three were taken to the hospital and listed in critical condition. According to the Federal Aviation Administration, the trio was aboard a Piper PA-32-300 Cherokee 300. The plane had gone off the end of the runway, officials said. 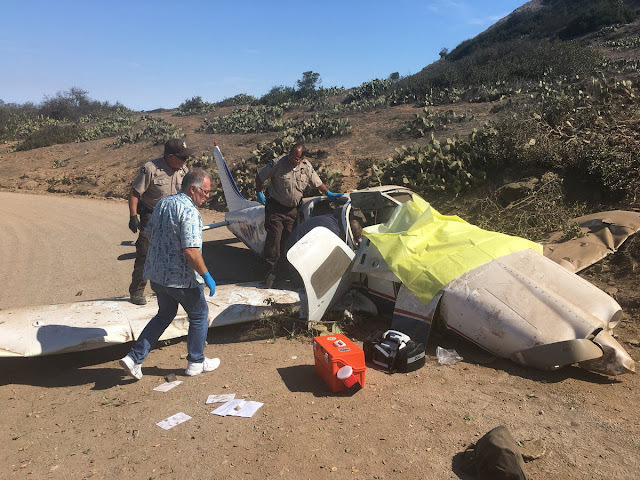 Photos taken by the sheriff’s Avalon branch show the plane’s nose sloped toward the ground and its propellers crumpled under the body of the plane. A yellow tarp covered part of the cabin.